Painted Lady Butterfly photo by Amy Buxton. Every May we celebrate Garden for Wildlife Month as a way to remind us to prepare our gardens for wildlife, highlight amazing stories, and share tips with one another. Since the birth of NWF’s Certified Wildlife Habitat program back in 1973, people have embraced gardening for wildlife by how they care for their property and we continue to raise awareness for the direct impact we can all have with simple changes. We are consistently impressed with the way this program has introduced us to incredibly passionate and amazing people. Every year we learn more around attracting wildlife and find new ways to make a meaningful difference for them. One of the biggest hurdles to creating a wildlife garden is finding and deciding what native plants to plant. While we have multiple resources, connecting with your local native plant society is another really good way to learn about species that work in your area. Also- don’t underestimate the power of doing a Google Search for native plants in your area or local sales. 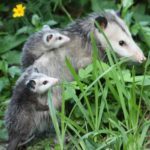 Now is a great time to find plants that help local wildlife! Whether you do so online, with us in the comments, on your personal blog, or with friends in person, part of what makes this program amazing is when neighbors and communities work together. So the more can you share tips, stories and photos, the more likely others will see there are real benefits to gardening for wildlife. Below are just a few places you can share your photos and join our online communities around gardening for wildlife. We hear great stories from our wildlife gardeners who set out to attract a specific species. By doing some research, you can really help migrating species or struggling populations with your habitat. Additionally you can set a goal to get your community on track to be a Community Wildlife Habitat or a nearby school involved with Schoolyard Habitats. By setting a goal this spring, you can take the next step to helping wildlife. The goal you set can be as easy as planting more native plants or as challenging as attracting a nearby endangered species. Every little bit helps! Removing garlic mustard and Japanese honeysuckle is no easy task, but by doing so you make room for native spring ephemerals and other plants to grow that more effectively feed wildlife. It’s important to know what species are considered invasive in your region since they can harm or choke out their native counterparts. If you have the time, May is a great month to volunteer and help remove invasive species. By making space for native plants to grow, you can really help the wellbeing of wildlife in your neighborhood and feed the local species more effectively. There are a number of helpful resources out there, everything from how-to’s to iPhone apps that help you identify and report invasive species. Whatever gardening you do this spring, consider gathering stray sticks and other plant debris and create a habitat for wildlife out of them. 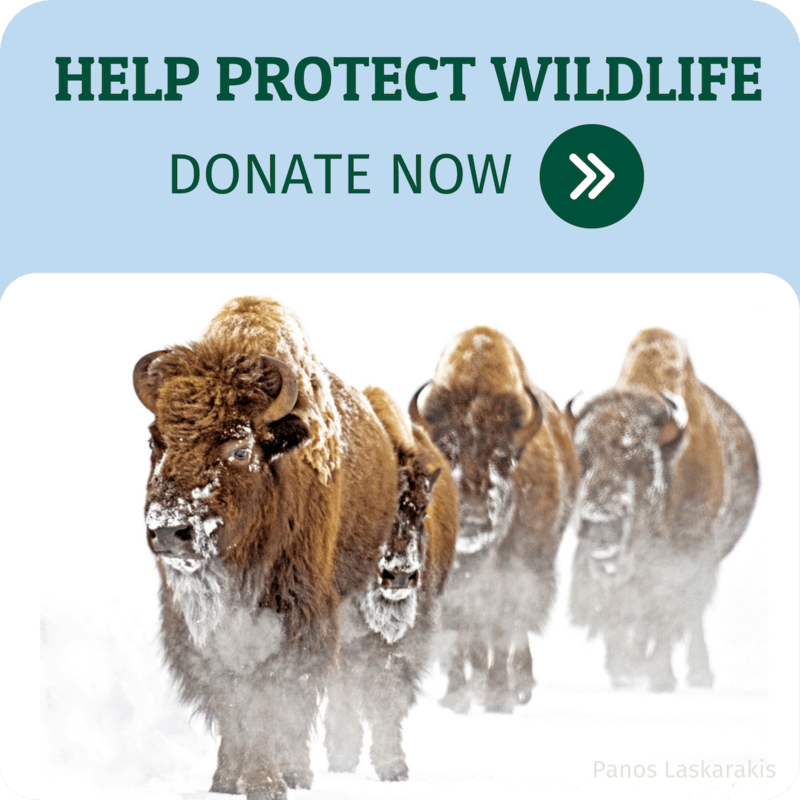 By intentionally creating a brush pile for wildlife you can give them a place to raise young. Just don’t add the invasive plants you’ve removed to the brush pile or you may see them crop back up! We want to thank all of the amazing people who have helped grow this program, from volunteers to bloggers who share their stories with us all year around! Now is the time to celebrate and we want to highlight some of your stories in upcoming posts! Become a Wildlife Gardener with National Wildlife Federation. 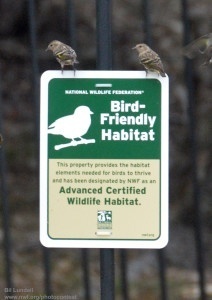 It’s free and you’ll get great wildlife gardening tips and learn how to certify your garden as an official habitat.